OSAKA - It began as a dream. Conservatives and nationalists, angry at what they saw as a public education system that taught a self-denigrating, incorrect view of Japan’s 20th century history and upset at social changes they felt had led to a loss of respect among children for Japan’s traditional values and norms, would create a private elementary school in Osaka tailored to their beliefs. Now, however, the opening of educational entity Moritomo Gakuen’s new Mizuho no Kuni elementary school (almost named Shinzo Abe Elementary School), scheduled for April 1, has been postponed indefinitely. It was revealed in February that the government land purchased for the school had been heavily discounted in a shady deal. That scandal led to revelations of Moritomo Gakuen’s links to Prime Minister Shinzo Abe’s wife, Akie, and Defense Minister Tomomi Inada, as well as to allegations so far unproven beyond a reasonable doubt by the entity’s chief Yasunori Kagoike that the new school received, via Akie Abe, a ¥1 million donation from the prime minister himself. Kagoike gave sworn Diet testimony last week, where he repeated his assertions about Akie Abe, suggested Osaka Gov. Ichiro Matsui betrayed him by blocking approval of his new school, and said that three Osaka-based Diet members were involved. This has raised the stakes and national media attention, ensuring the scandal won’t go away. As forceful as Kagoike’s allegations have been, the denials from those named as of late last week have been equally forceful. After saying she could not remember, Akie posted a strong denial on social media that she’d handed over ¥1 million. Same with the three politicians named by Kagoike. Nippon Ishin’s Toru Azuma of the Upper House denied doing anything on Kagoike’s behalf. Fellow councilor Takuji Yanagimoto of the Liberal Democratic Party said his office did little more than provide an introduction to officials over the phone. Former LDP lawmaker Issei Kitagawa said he’d never met Kagoike or even heard of him until the scandal broke. In Osaka, attention has shifted to what Osaka Gov. Matsui, a close Abe ally despite heading the nominal opposition party Nippon Ishin no Kai, knew about the land deal and when he knew it. This has raised still unanswered questions about what the political and financial relationship other conservative groups and individuals might have had with Abe, Matsui and Moritomo Gakuen. The scandal also has Osaka prefectural officials in charge of private school applications and central government officials at the Kinki Regional Finance Bureau blaming each other over who is responsible for selling Moritomo a hunk of land valued at ¥956 million for only ¥134 million. Earlier this month, a delegation of ruling bloc and opposition Diet members visited Osaka to try to determine how the deal came about but were told the prefecture had not kept detailed records. What they did learn was that in summer 2011, the entity had asked the Osaka Prefectural Government to relax the restrictions on setting up private schools. The request was granted in April 2012, just a few months after Toru Hashimoto stepped down as governor and became Osaka mayor, and his ally, Matsui, became governor. In September 2013, Moritomo told the Kinki Regional Finance Bureau, part of the Finance Ministry, that it was interested in acquiring government-owned property in Toyonaka, Osaka Prefecture, for its new elementary school. Negotiations began, with the finance bureau indicating Moritomo could reply about its interest if the project was approved. The prefecture, however, said that without land and a building, approval to operate could not be granted. That October, the prefecture phoned the finance bureau to ask about progress and was told the bureau was relying on Moritomo to provide detailed documentation of its plans. A month later, the bureau said it told the prefecture that, once a final decision about the project was made, it would reply about whether it would negotiate the land deal. In May 2015, a 10-year rental lease for the property was drawn up. But the following month, after deducting ¥800 million as the cost of removing garbage on the site, Moritomo was able to buy land originally valued at ¥956 million for only ¥134 million. But official records of the negotiating process, especially from 2013 to 2014, do not exist, prefectural officials told the Diet delegation. The chronology they were presented with was based on interviews with officials who were in charge at the time. “Notes were not taken and negotiations were done over the telephone. 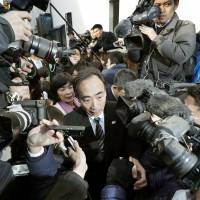 Preparing documents (of the negotiations) would leave a huge volume of paperwork,” Osaka Gov. Ichiro Matsui said. The governor denied any suggestion he intervened with prefectural officials on Moritomo’s behalf. 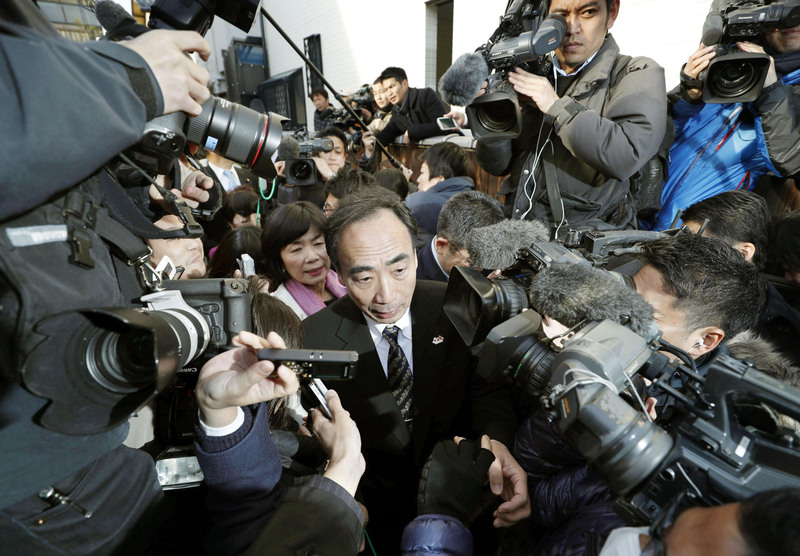 “If I ordered preferential treatment to be given to Moritomo, I’ll resign,” Matsui said. For his part, former Osaka Mayor and Ishin co-founder Hashimoto, who had been governor in 2011 when the entity originally asked for the rules regarding new private schools to be relaxed, blamed his lack of attention to the details of deregulation for the problem. “It was my mistake. When I was governor, I had to make deregulation of private school regulations and the strengthening of the system of prefectural checks for private school applications part of a set. There were voices of concern about Moritomo’s finances. The prefecture appeared to confirm they were OK and this led to approval with certain conditions. But the origin of the problem is that my efforts to strengthen the prefecture’s system of checking on private school applications was insufficient,” Hashimoto said on his Twitter account and on television last week. The mea culpa did little, however, to negate suspicion that the good deal Moritomo received had something to do with gubernatorial successor Matsui’s cozy relations with Abe. Both men share similar views on perceptions of history and education. As do many of the groups in Osaka that support Nippon Ishin. One that has come under the spotlight is the conservative Japan Conference (Nippon Kaigi), which also advocates nationalist causes. In a statement earlier this month, the group said Kagoike had once been a member but left in 2011. In an online interview published last week in Shukan Asahi, Japan Conference Chairman Tadae Takubo said his organization had no connection with Kagoike. But Hashimoto said that while everybody who once supported, directly or indirectly, Moritomo and Kagoike may now be reluctant to admit it, the school’s nationalist educational philosophy enjoys a lot of support among prominent people. “I wouldn’t make my own kids recite the Meiji Imperial Rescript on Education like Moritomo was doing. But from what I’ve seen and heard, the school taught respect and courtesy. Without a doubt, a lot of politicians, including within the LDP and even Nippon Ishin, supported the school’s educational philosophy. Therefore, a lot of prefectural officials took notice,” Hashimoto said. Kansai Perspective appears on the fourth Monday of each month, focusing on Kansai-area developments and events of national importance with a Kansai connection.